I think I have a craigslist addiction. I could sit all day long and look at what fun things people are selling on craigslist. Everything from a pack of new undies (ewww) to a car, vacation timeshare, or home. I have a regular list of items I search for and one of the things on that list was Lucite. I've been wanting one piece of Lucite for my family room or bedroom and since I have little to no space it didn't leave many options. 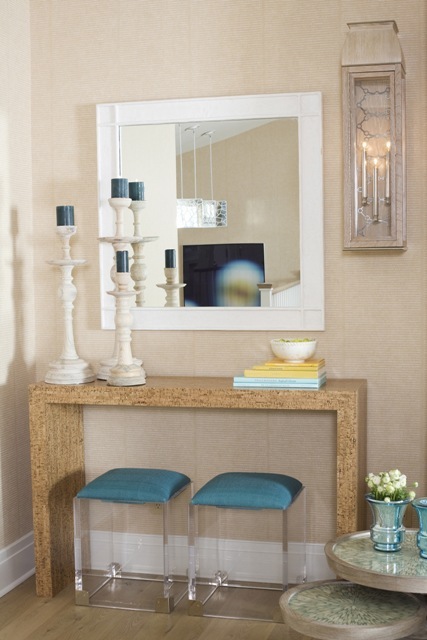 I was looking for chairs, benches & stools and used these as my inspiration. So after months of searching I found just the right stool! Only issue was it was located on the Cape, and for any of you who know the area from Boston that can be an hour drive or a 4 hour drive, depending on traffic. 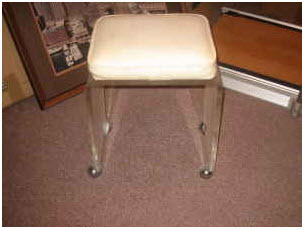 I finally convinced my fiance that I would die without this stool and he just HAD to take me down one Saturday morning to pick this baby up. Two and a half hours later I had one unhappy fiance on my hands as we were pulling into the driveway to pick up my find. We get into the house to see the stool and my fiance stopped dead in his tracks and said "we drove two and a half hours to pick up THAT!" Needless to say he was extremely unimpressed, but I was grinning ear to ear! I told him he just didn't understand good design or a good deal. I have big plans for this baby! With new upholstery and a little cleaning and it will be good as new. As soon as I get new fabric picked out and it recovered I'll post photos- I can't promise it will be tomorrow but it will be coming soon, keep an eye out! 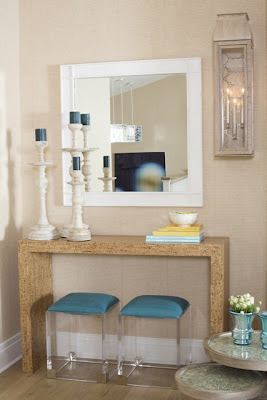 That Good Bones, Great Pieces lucite piece is one of my very very favorites. I would die if I found that stool! Great find - I would totally drive out of my way to go get it! I've seen stuff like that on eBay a lot, but overpriced. The 3rd and 4th images are my favorite! Love your new find. I love having one of two pieces of lucite in the room. These a really great. Have a great week. what a great piece, i love it and would also be over the moon, my husband is the same and sometimes EXTREMELY sceptical of my visions haha! OMG! I love it! so worth the trip, great find...and that fiance is a keeper, (regardless of his taste) he made the trip...he's awesome! This is the best week of the year for craigslisting in Boston, reaping the benefits of all of the september moves! It will be amazing! Kudos for him for making it, even with the comment. I've got lucite on my Craigslist hunt too! 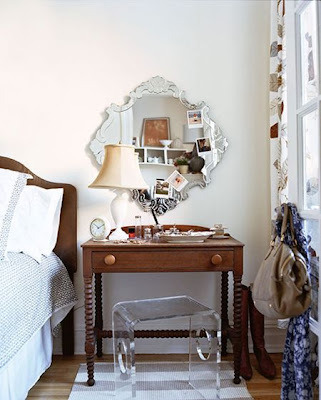 Great pics and inspiring ideas here! I love it! And guess what? I had my bridal shower this weekend and got mini lucite tables! Hope all is well! When are we hanging out again? Hilarious response from the fiance! Can't wait to see what you do to that stool, it will surely be fab! I could see my husband having the same reaction.....but at least they go along for the ride, eh? This will look fabulous once you've spiffed it up! So excited for your new find! Can't wait to see what you do with it! That definitely was a long trip..but that IS a good find! It's going to look great all cleaned up! that is something my husband would say for sure. i love lucite also, i still need to find a piece for my house. nice find, can't wait to see it finished! You and Zhush are clearly on the same mod wave length with lucite! Good luck with that new find. Its going to be so fab! Your fiance is not alone is his misunderstandings... I'm sure when you are done he will realize how totally worth it the drive was! Cant wait to see after. awesome. such a great find! How fun! Can't wait to see how you will reupholster it. Score!! craigslist is truly for the patient. I have no doubt you will transform it into a beautiful piece. ohh and too bad there weren't two... just sayin! I can't wait to see what you do with this bad boy! I know it's going to be fabulous! 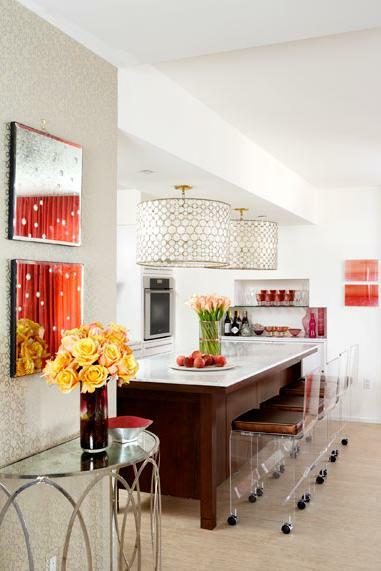 I love, love lucite too! This little bench is such a great find. I can't wait to see how you recover it. And sometimes it is fun to have an excuse to take a day trip to the Cape! You know it's fabulous, he should be happy that you are happy. Imagine what the drive home would have been like it you hadn't loved it. LOL! Great find. Looking forward to the "after." The fab room with the desk and yellow chairs is Carrie Hayden from Seattle. She is not only a really good friend but so talented. One to watch! Score! I dont think I can possibly fit another piece of lucite into my house. Crazy. Such a GREAT story!! You'll be telling each other that story when you're in your 80's!! The stool was so worth the trip!! Dying to see what you do w/it! Men, they never "see" the whole picture until it's done and then they like it. Too funny. Can't wait to see it all spiffed up. haha! Well I love it. it is worthy of a 3 hour drive!!!!! Love it and am excited to see what you do with it. Very cool! Your fiance is such a trooper!